7/31/2018 - Updated "Old Caves" to 1.13; this only includes caves for now due to issues with JBE when trying to change the chance of mineshafts. 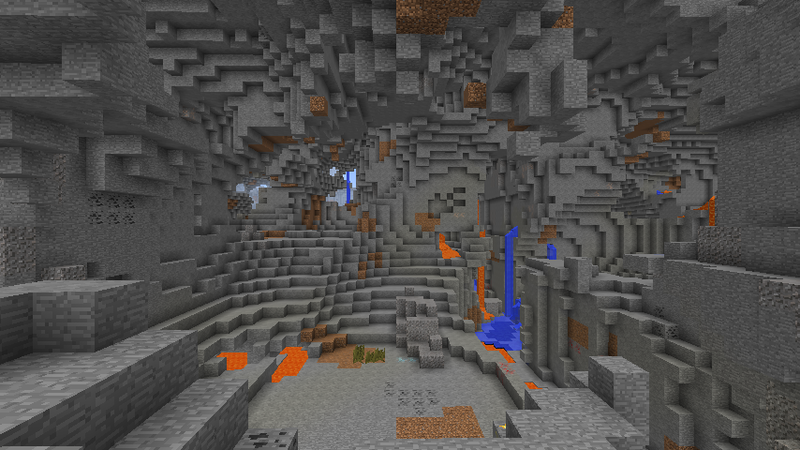 11/17/2017 - TMCW Underground has been updated to TMCWv4, which includes more variation and new types of caves; more specific changes to mineshafts and dungeons were not included. 11/27/2016 - While I'm no longer maintaining these mods in general I updated "old caves" (1.6.4 cave generation) to 1.11 because I had modified the class to demonstrate that caves had not been changed since 1.7 (some are claiming that they restored pre-1.7 cave generation or otherwise increased it). Also, see the end of this post for updated installation instructions, Mojang has sneakily added stuff the the json file which makes the launcher redownload the jar even if you rename it, as if they are on a war against mods. These are a few simple mods that I made for 1.7.x after seeing a request to remove void fog, which can be done with mods (Optifine) for earlier versions but I haven't seen one for 1.7.2 yet. 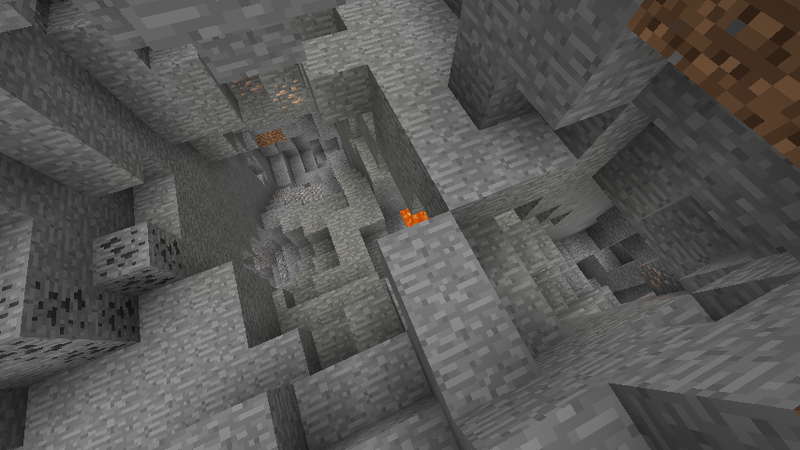 I also uploaded several mods for cave generation; removing caves, using the generation in 1.6.4 and earlier, or doubling the 1.6.4 generation, and similar mods for ravines (these are also compatible with the server, which uses the same class). 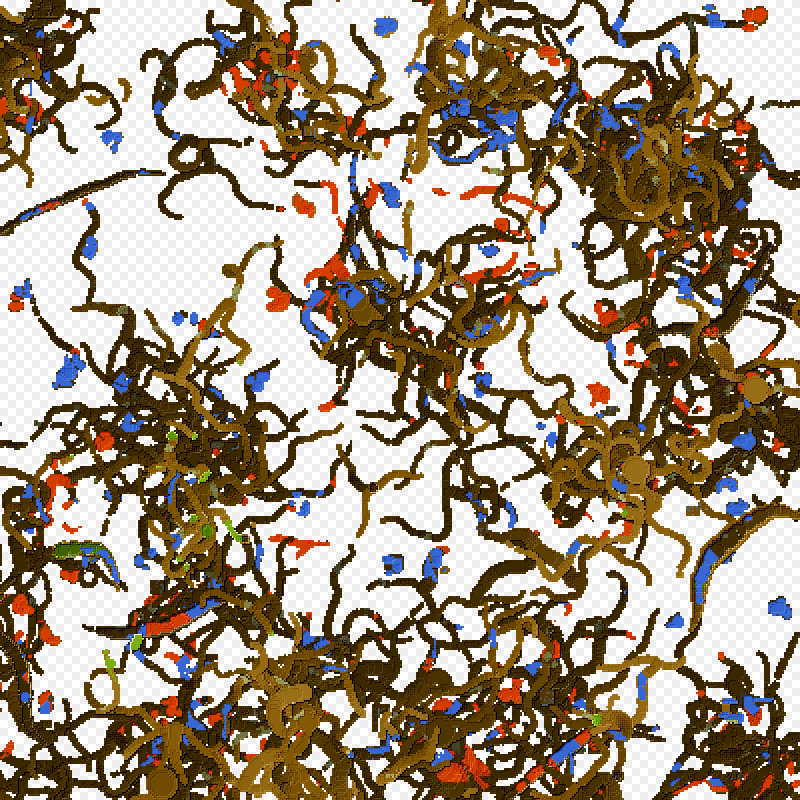 They are just simple edits done using JBE on the class files; I can easily update them as new versions come out as long as the code remains similar (without help from MCP). All of the mods here are compatible with each other and can thus be mixed together, except for "TheMasterCaver's World Underground" and the cave/ravine mods as it uses a custom combined cave/ravine generator class. 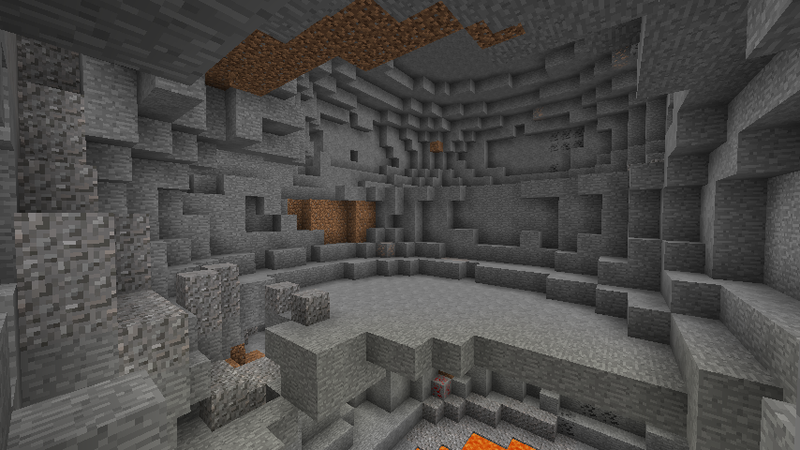 This download also includes the no void fog and no-derp stronghold mods, which are separate so they can be installed optionally, as well as a version which removes the exclusion of various caves from near the origin, and a standalone Java app which shows you the locations of various caves as well as mineshafts and strongholds. 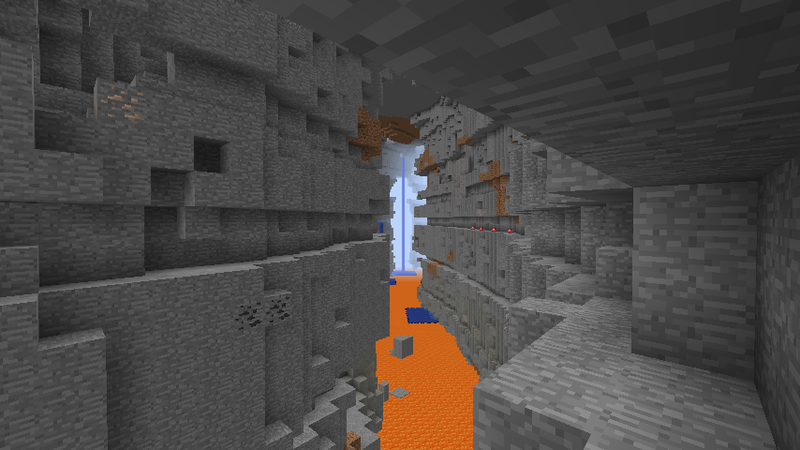 This mod replicates the underground generation (caves, ravines, mineshafts) of my 1.6.4 mod "TheMasterCaver's World", which includes more variation in the size of caves, cave systems, ravines and abandoned mineshafts. 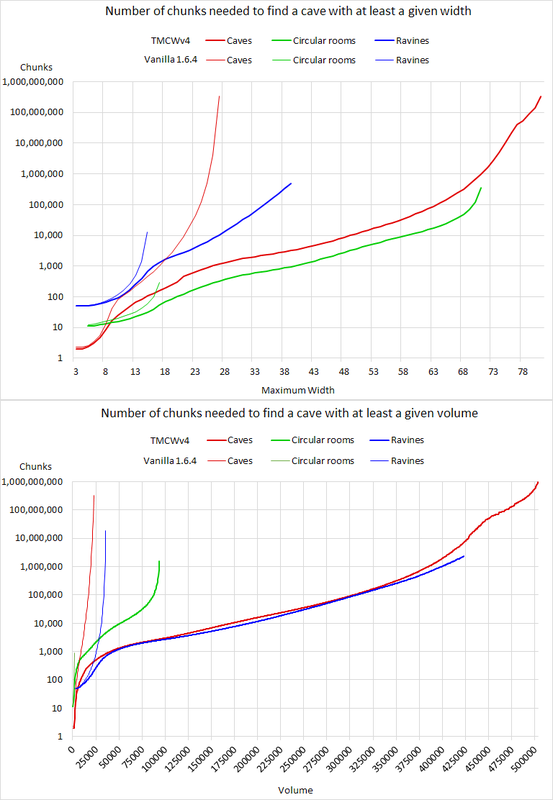 Overall cave density (air blocks as a percentage of all blocks between lava and sea levels) is comparable to that in 1.6.4, while mineshaft frequency close to that of 1.7+ (40% of 1.6.4) but being spaced apart in a similar manner to villages; overlapping mineshafts, common in vanilla, are very rare if not impossible, they are also prevented from generating in the middle of large cave systems (can still overlap and generate in areas with lower cave density). 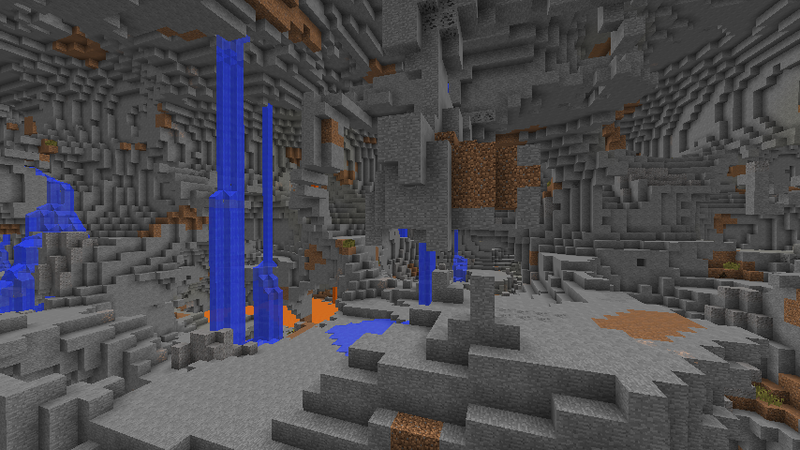 Caves and ravines also cut through the surface of desert and mesa biomes (a feature that has been added to vanilla in the 1.8 snapshots), with floating sand blocks replaced with sandstone or orange stained clay; gravel in oceans is also replaced with a layer of stone if it is over a cave, and sand/gravel patches likewise place sandstone/stone over caves to avoid cave-ins (still possible if a vein of gravel generates in stone at the bottom of a body of water, or under sand, but ocean caves are much drier than vanilla). 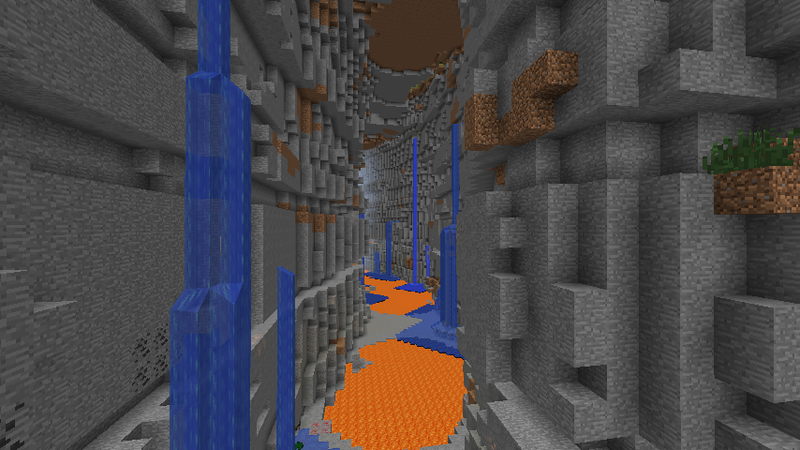 The "water check" code was also replaced so it acts on a per-block basis instead of entire chunks, preventing caves/ravines from glitching out (ending in flat vertical walls at chunk boundaries), with a 2 block border carved around bodies of water (sometimes cuts right up to water at chunk borders as the code can't check adjacent chunks). Note also that caves go down to y=6 instead of y=11 (full version, "light" version is unchanged) before becoming filled with lava; bedrock was reduced to one layer to suit and the ranges of rarer ores are lower (diamond only generates up to y=10, but this has no effect on abundance when mining at only one level, e.g. 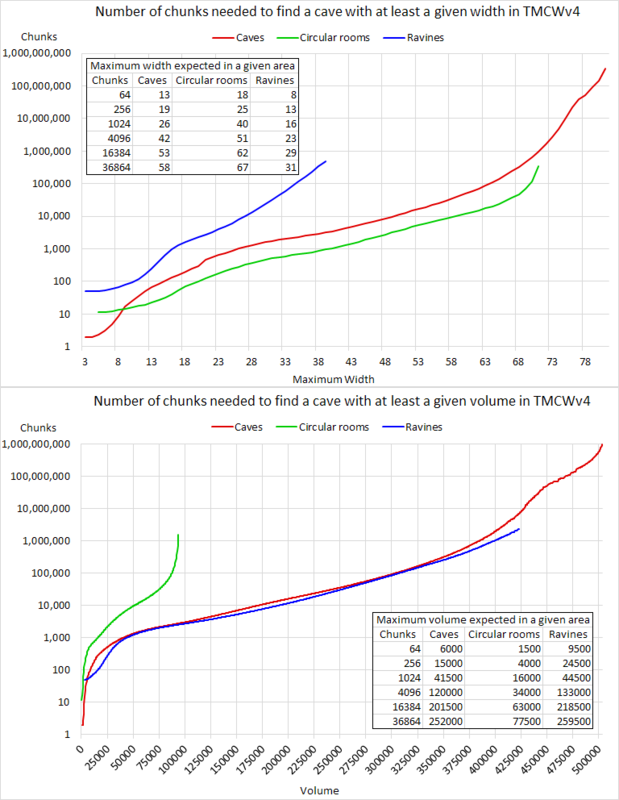 y=6; the removal of bedrock also mostly offsets the decrease in range for only a slight reduction in per-chunk counts and minable area). Also included are the no void fog and stronghold mods; the render distance fix and Ender chest mods weren't included but are compatible (none of the cave/ravine mods are as I replaced their classes with a single class that only resembles the original MapGenCaves in name). 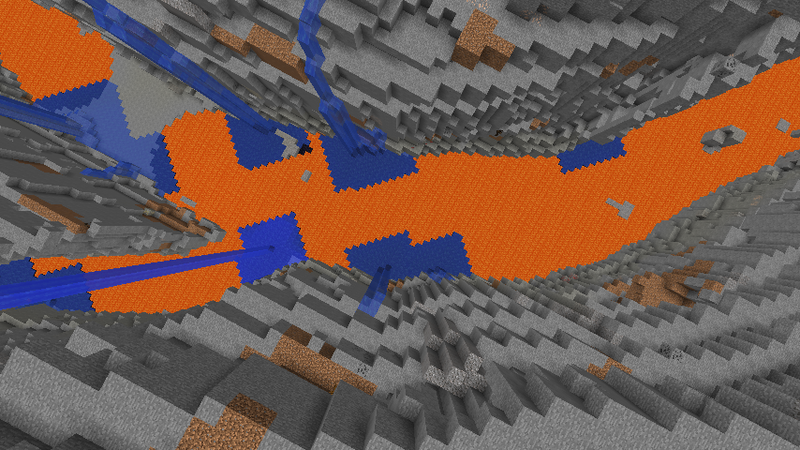 A few other tweaks made were allowing water lakes to generate underground in deserts (below y=48) instead of not at all as well as under villages, including lava lakes (again below y=48, so not a fire hazard to houses) and making dungeons as common as in 1.6.4 by lowering the range from 256 to 128 (unnecessary as caves are practically nonexistent above y=128); this makes them twice as rare in 1.7, cave changes aside, because they didn't adjust the number of attmepts per chunk in accordance to the change in range (twice the range = twice the attempts for the same density). Dungeon chests can also contain cocoa beans and jungle saplings to compensate for the rarity of jungles in 1.7+ (prior to 1.6 they had cocoa beans; I included jungle saplings because they need jungle wood to grow). 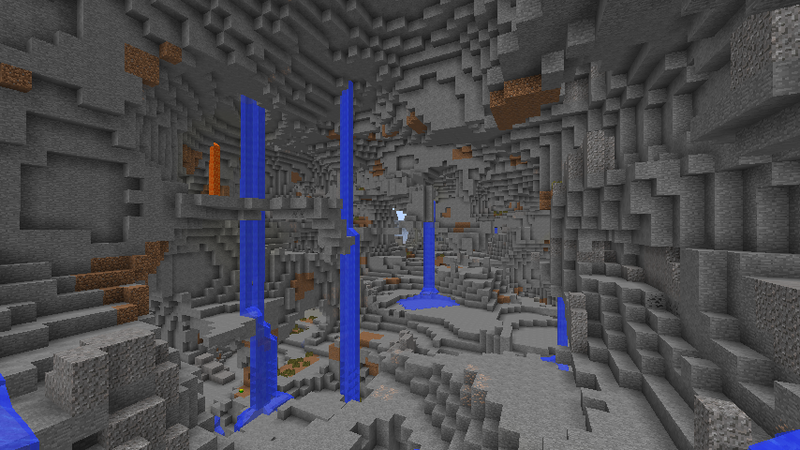 The largest possible caves and ravines both have a maximum length of 336 blocks and caves can get up to 80 blocks wide while ravines can get up to 39 blocks wide and 70 blocks deep. 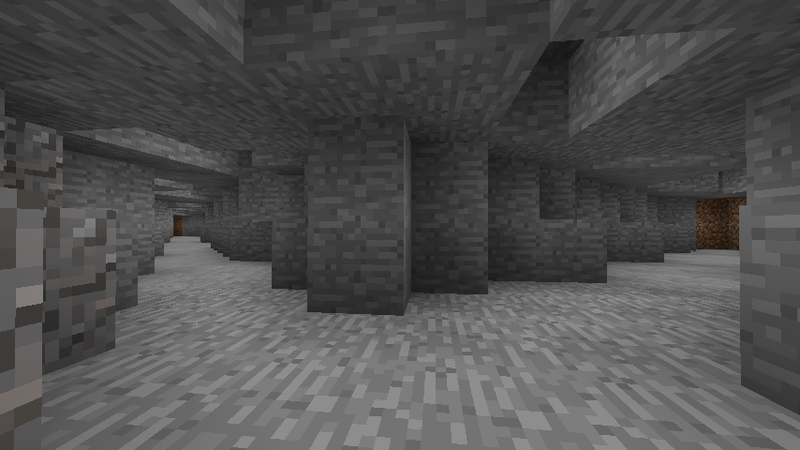 Since caves twist around a lot and branch they are unlikely to actually stretch 336 blocks end-end but may form chambers wider than their width indicates (the measurements reported by CaveFinder assume that they are perfectly straight; the volume shown is the actual measured volume). 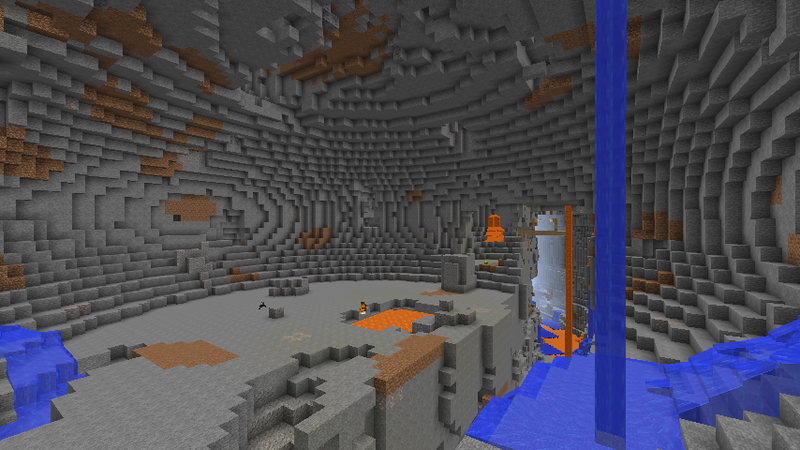 Circular rooms can get up to 71 blocks in diameter and about half the height. 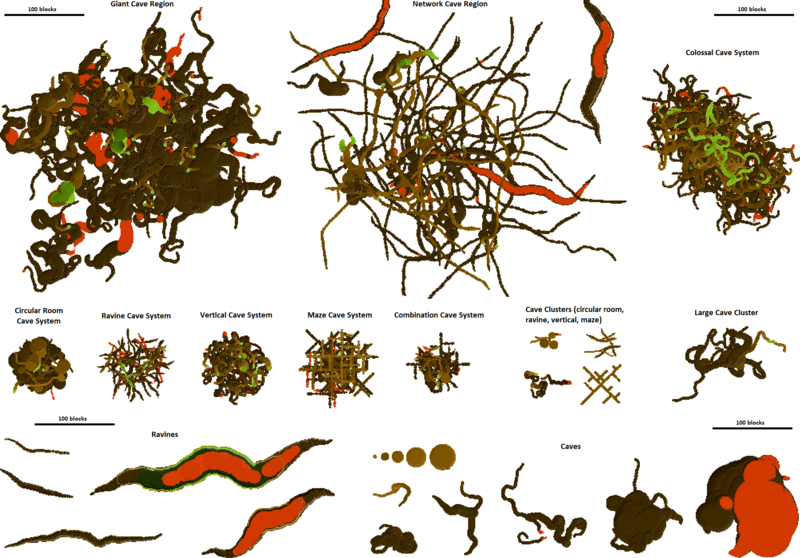 Cave clusters are miniature versions of circular room, ravine, vertical, and maze cave systems and can be found scattered around the map; they consist of 3-6 of their respective type of caves, except for a single maze cave. 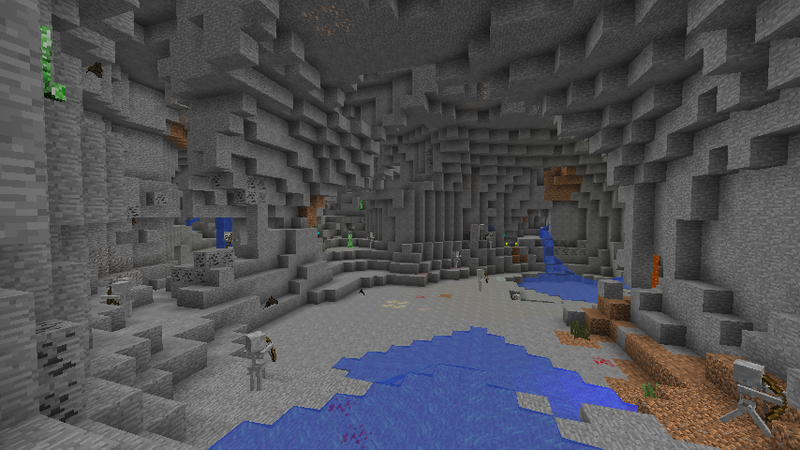 Large caves also have their own clusters, in the form of 2-4 caves generated in the same chunk instead of one. 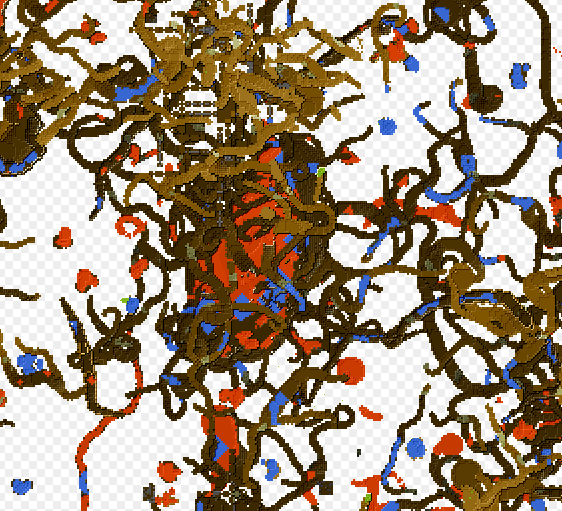 There are also regional caves, which are generated over multiple-chunk regions instead of a single chunk and they come in two variants, network cave regions, which consist of very long and relatively straight caves which intersect at circular rooms and may contain large caves, ravines, and mineshafts but no normal caves unless they are above sea level, as well as more cave clusters than normal. 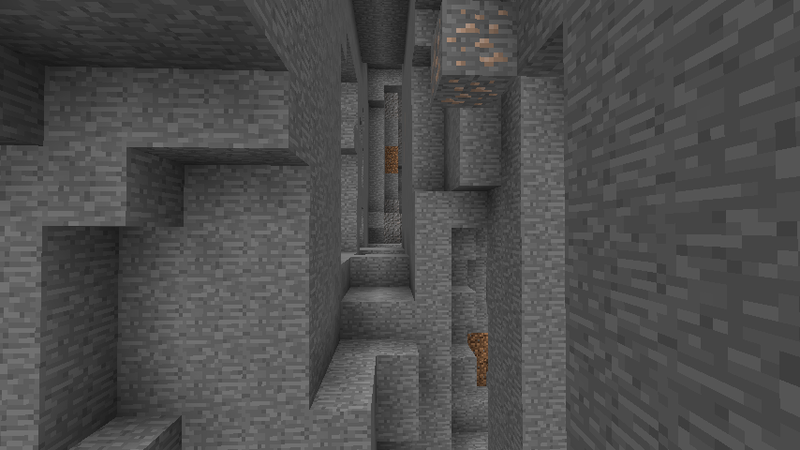 Mineshaft placement was changed so they rarely overlap one another (only at the outermost edges when they do), and exclusion from areas of higher cave density and larger caves/ravines (they may still occasionally overlap); overall frequency is about 60% of vanilla 1.6, but still 1.5 times more common than vanilla 1.7+. 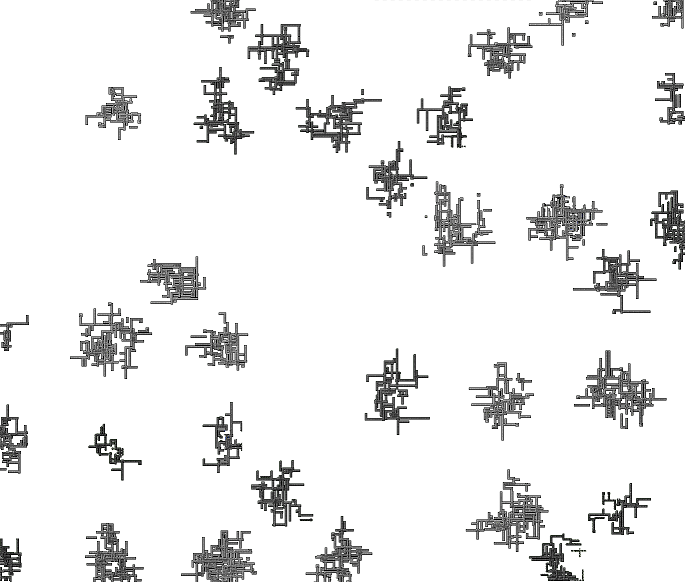 An infinite number of strongholds generate outside of a 640 block radius from the origin (the minimum distance in vanilla. This restriction is not affected by the "NoExclusion" version). 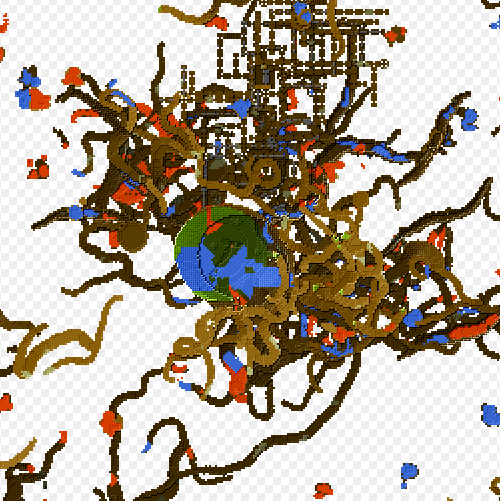 The underground is 7 layers deeper than vanilla; cave lava level is y=4 instead of y=11 and rarer ores (other than coal, iron, and emerald) generate lower down and there is only one layer of bedrock at y=0. 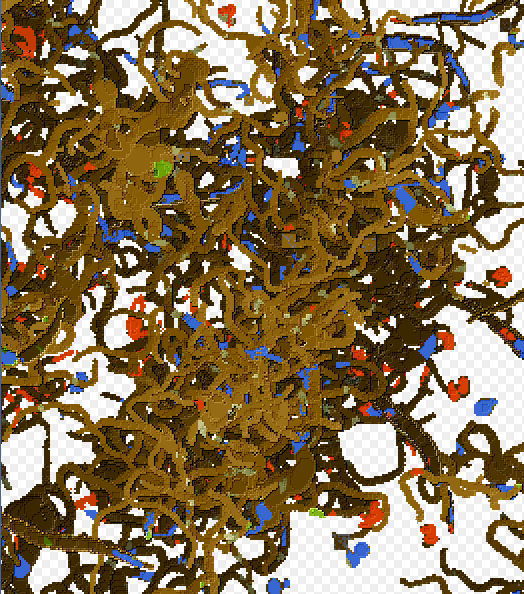 Dirt and gravel are twice as common below sea level, matching their frequency in 1.6.4 (1.7 doubled their y-range but kept their counts the same so only half as many veins generate over the same range*). 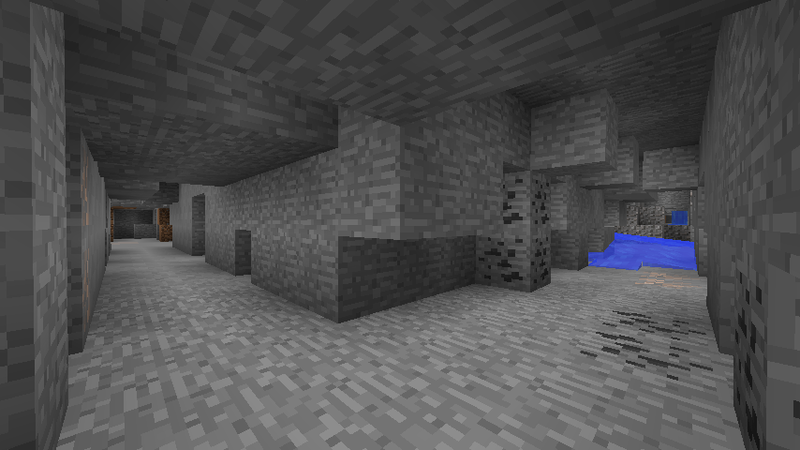 The altitude of gravel is reduced in ocean biomes so it doesn't generate in the ceilings of caves below the seafloor and cave in; likewise, underwater patches of sand and gravel generate sandstone and stone instead if their is air under them. *A similar change made dungeons twice as rare in 1.7; this is not fixed in this mod as my intent was to keep it as simple as possible (fewest files modified). 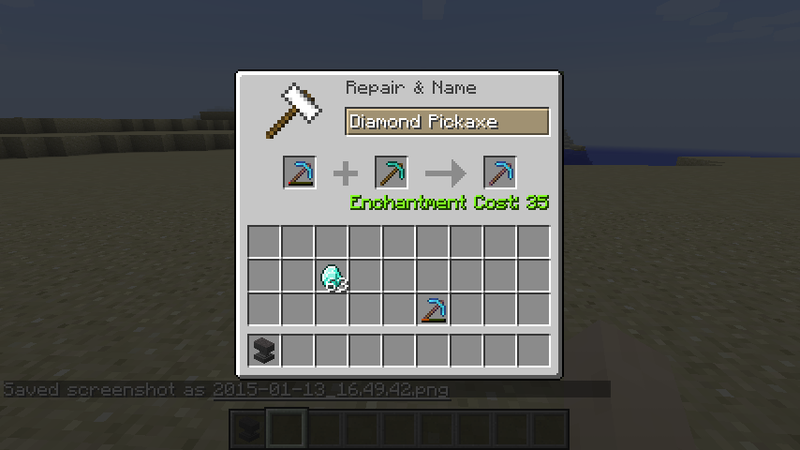 This mod restores the anvil mechanics from prior to 1.8, where renaming kept repair costs from rising and repair costs increased with durability and depended on the enchantments, resulting in a relatively high but fixed repair cost or sacrificing repairability for "maxed out" items (this still has a penalty in 1.8 by reducing the number of repairs if you combine books/items but since all items are affected by a limited repair lifetime it is less important). It also makes using enchanted books practical again, especially through combining multiple low-level books (e.g. Sharpness I) to get higher level enchantments. I have not tested every enchantment but I did test Depth Strider (new to 1.8), which cost 19 levels on diamond boots. Note that due to changes in leveling up you will spend more XP to repair items; the pickaxe in the example above costs 1032 XP prior to 1.8 but 1758 XP in 1.8, an increase of 726 XP or 70.3%; I still consider this to be pretty low in comparison to what you can get though using it, at least when caving (I average around four times as much XP from mining mostly ores); more significant is that you can't always repair highly enchanted items with new ones; for example, an Efficiency V, Fortune III, Unbreaking III diamond pickaxe can only be repaired with one diamond for 37 levels (1406 XP pre-1.8, 2368 XP in 1.8; equivalent to 5624 and 9472 XP for a full repair, an increase of 68.4% and too expensive for me to afford using one for all mining, as I once did, but there is little reason to do that). 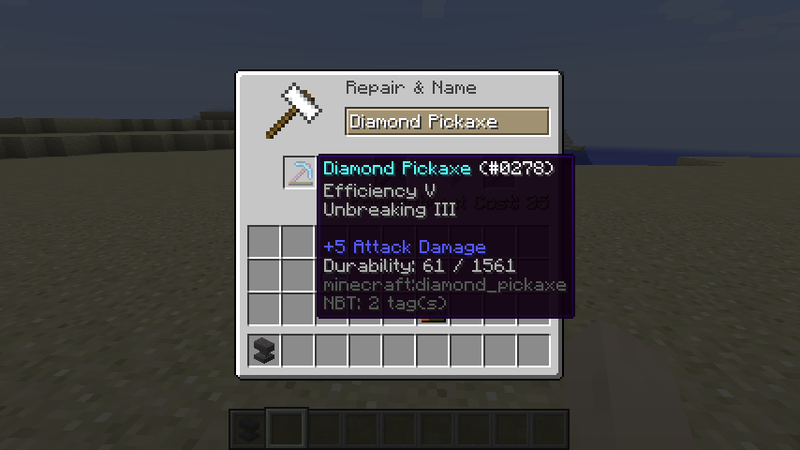 Also, renaming costs 7 levels again, which may be a bit much for non-tool/armor items considering you want to have 30 levels to enchant, although that is less important with the older anvil mechanics, where you'll also be regularly spending many more levels when repairing (for comparison, in 1.8 the prior work penalty is 0, 1, 3, 7, 15, and 31 for the six repairs you can do and it costs two more levels to repair with a new item; this means a cost of 2, 3, 5, 9, 17, and 33 levels - the example I gave is as expensive as the last repair possible; this increase also means it is impractical to extend lifetime by simply removing the anvil cost limit, as the next repair would cost 65 levels, then 129, and so on). Basically, you get the convenience of being able to simply repair items as needed without having to run back and enchant new ones but with higher long-term XP costs (which as noted shouldn't be an issue). 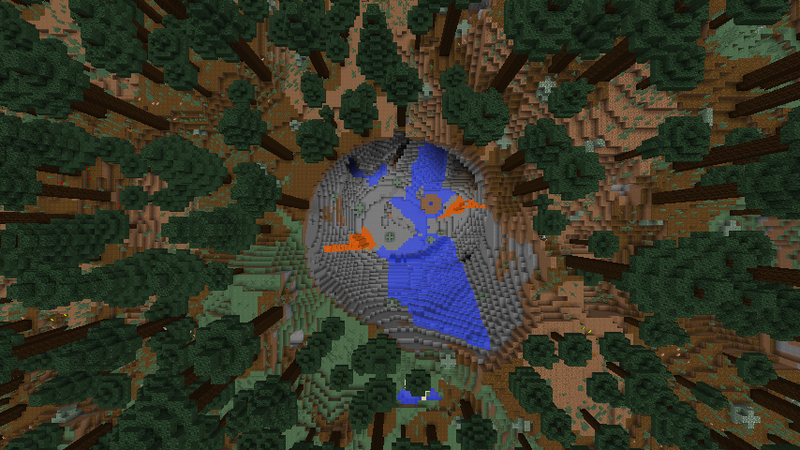 As its name suggests, No Mineshafts disables abandoned mineshafts from generating, with other structures generating as they normally do, so if you don't like mineshafts you can remove them without removing other structures (in 1.8 you'll be able to do this with the customized world settings so this mod wouldn't be needed anymore for new worlds). 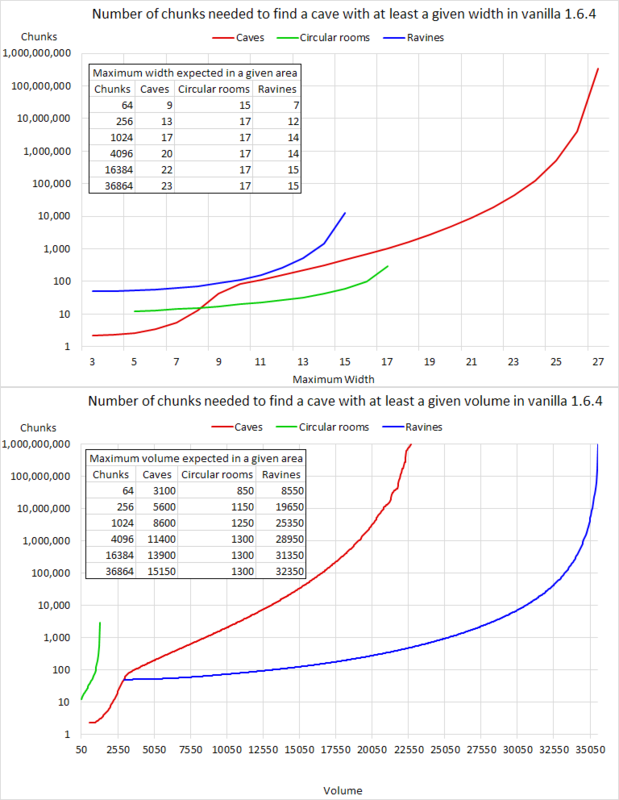 Also, a reduction in frequency within 80 chunks of the origin was removed, which leaves them more common than vanilla within that area; the overall reduction in 1.7 from a 1% chance to a 0.4% chance per chunk combined with this makes them often very rare close to the origin, while IMO the pre-1.7 frequency is too high away from it, especially with the overlapping of many mineshafts. 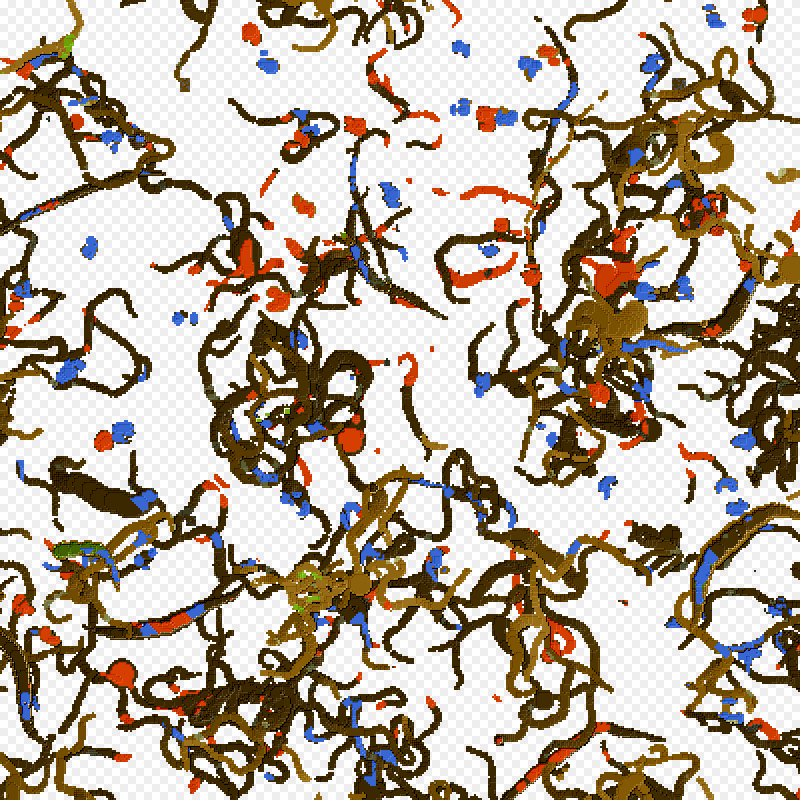 This is the same methodology that I've used in my other underground generation mods. Note also that you can still change the chance in Superflat worlds but the maximum chance is about 0.0102 or 1/98. This mod is basically a "poor man's" substitute for a backpack mod, allowing Ender chests to hold 54 stacks of items (large chest size) instead of 27, while having the advantages of an Ender chest (i.e. 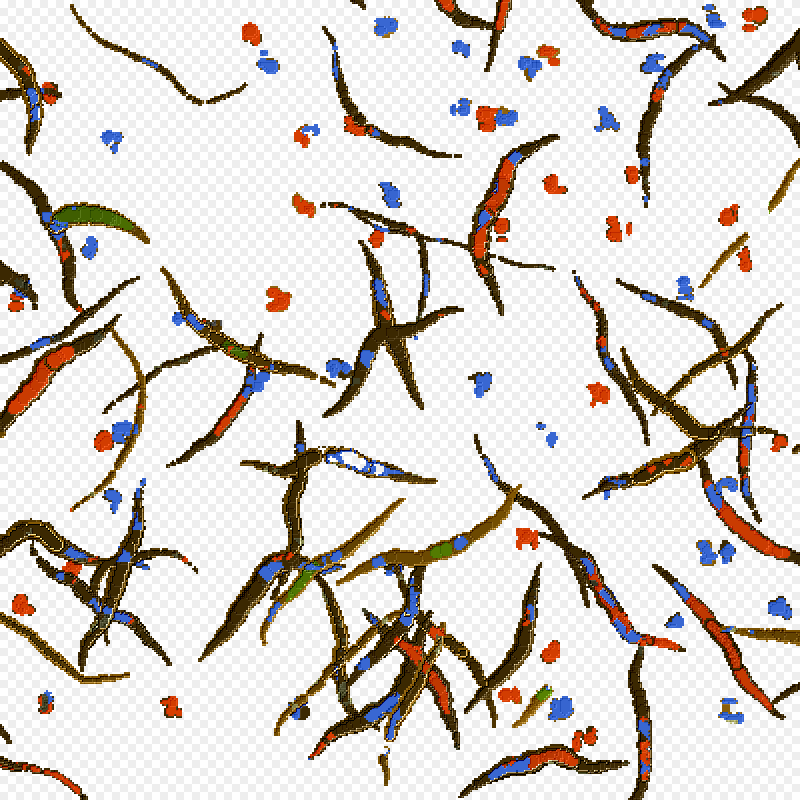 contents not lost on death, transport items without carrying it; a Silk Touch pickaxe is still required to mine it though so it isn't quite as OP as a backpack). Ever been annoyed by a stronghold that is cut apart by caves? 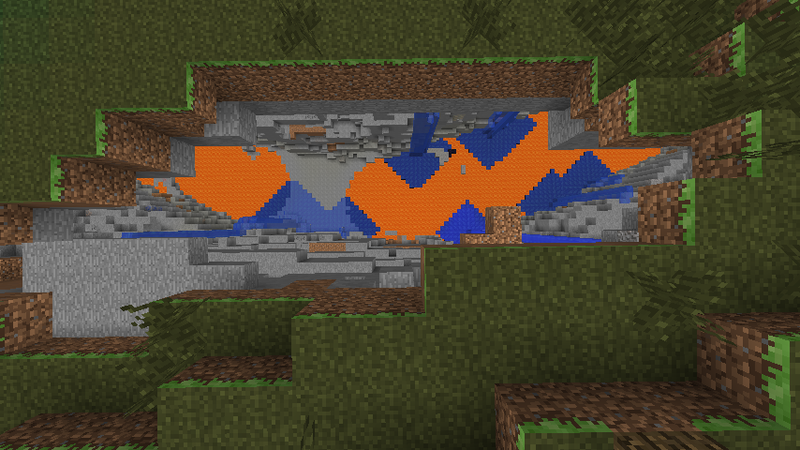 Well, this mod eliminates that by making them always overwrite blocks; the default behavior is to only overwrite non-air blocks when the walls generate, resulting in no walls where they intersect caves. This is even more true for Superflat worlds with floating strongholds, which will result in a bunch of random disjointed pieces floating around. 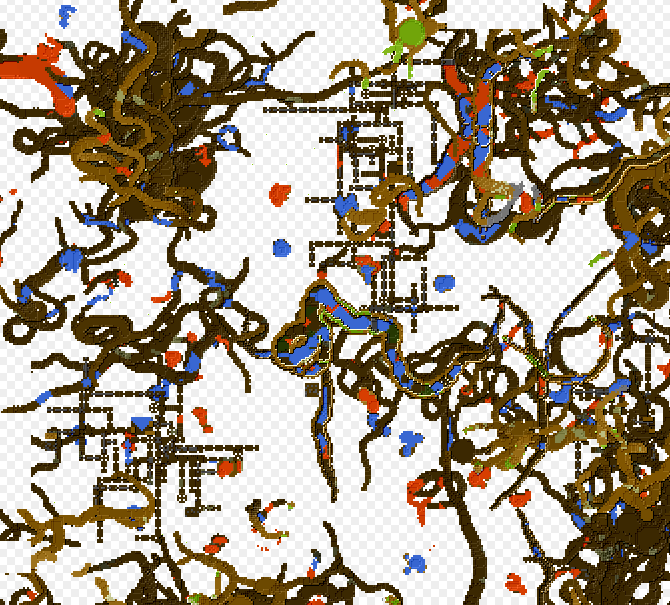 In addition, I removed code that checks for the presence of liquid where a piece will go, which otherwise prevents it from being generated, resulting in strongholds under oceans often missing pieces, particularly when the portal room is disconnected from the rest iof the stronghold (portal rooms already don't have this check, so strongholds added to the "Water World" Superflat preset will only contain a portal room, but with this mod will fully generate). Note that misalignment can still result in cut-off sections, including portal rooms (often just a wall separates them) and corridors end without being closed off, but everything that can be generated will generate intact. 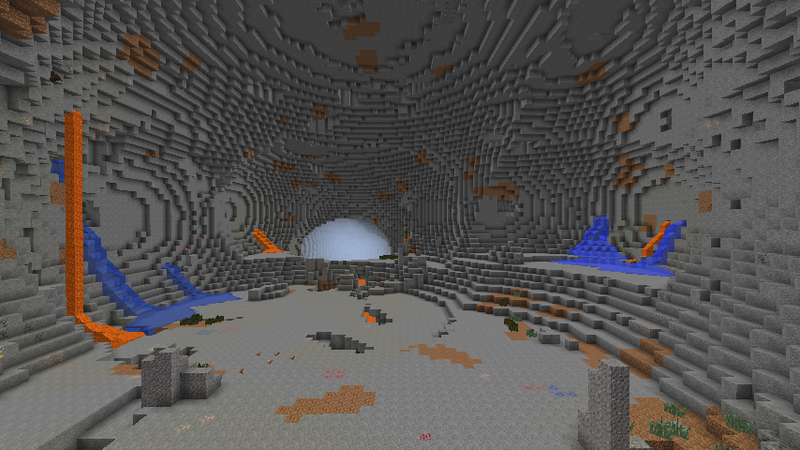 This mod fixes the issues introduced in 1.7.4 when render distance started to directly control how many chunks are loaded when previously the internal server always loaded chunks to a "view distance" of 10; they presumably did this to allow larger render distances to work (as in 1.6.4 "Far" is effectively only 10 chunks due to this), but without considering the impact of a bug that has plagued multiplayer servers for years. 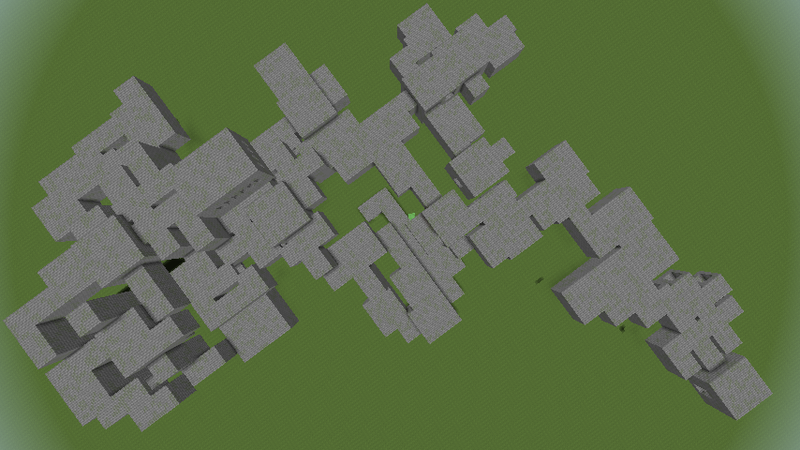 In this case, the minimum view distance is limited to 10 chunks, but can go higher, which is what they should have done. Installation instructions for the official launcher can be found here; note that I advise using WinRar or another archive instead of simply unzipping the jar with Windows's built-in zip utility because certain versions (e.g. 1.6.4) may have a class called "aux.class", which is an invalid Windows filename and corrupts the jar. In addition, Mojang added some new stuff the the json files for all versions, which must be deleted to prevent the launcher from redownloading the jar; you want to delete the stuff after "downloads" near the end, as shown in this bug report on the issue; when launching the game you should see "Couldn't connect to server (responded with 403) but have local file, assuming it's good" in the launcher log when it tries to download the Minecraft jar. Do you mean twice as many as 1.6, or twice as many as 1.7? 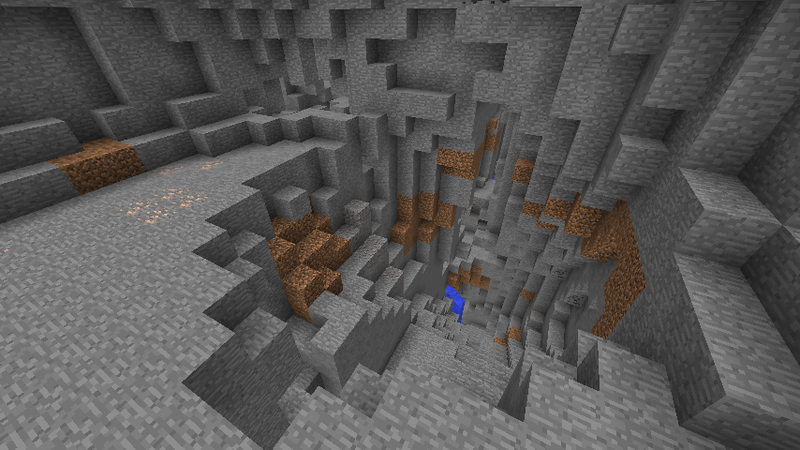 If the latter, the old cave generation mod is pretty much double the 1.7 generation. 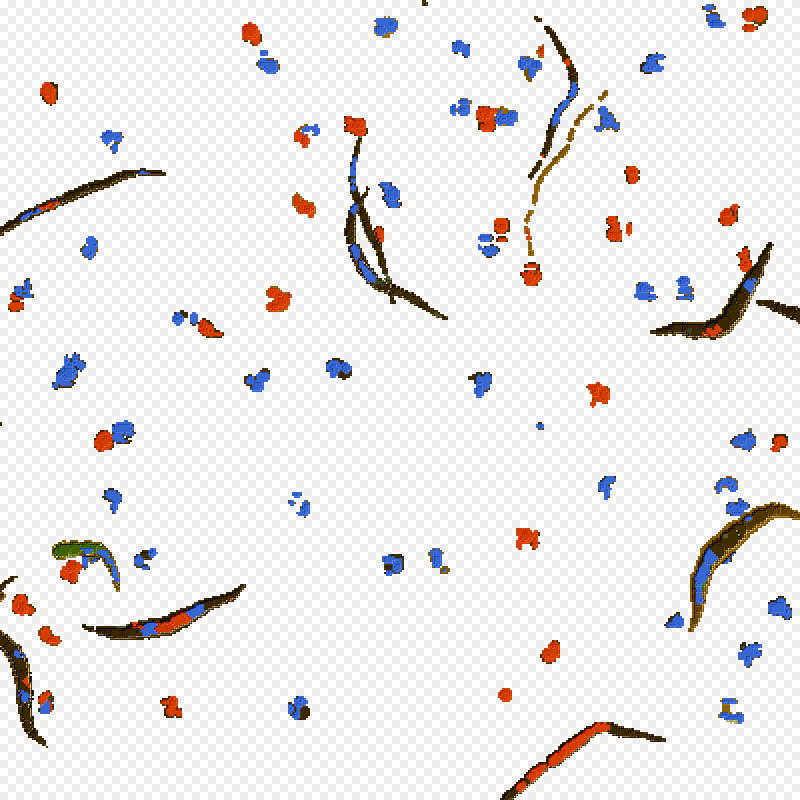 Also, there's two ways to change the number of caves; the size of a single cave system and the probability of generating per chunk, which produce different results (one makes them bigger with the same separation but the other makes them closer together. 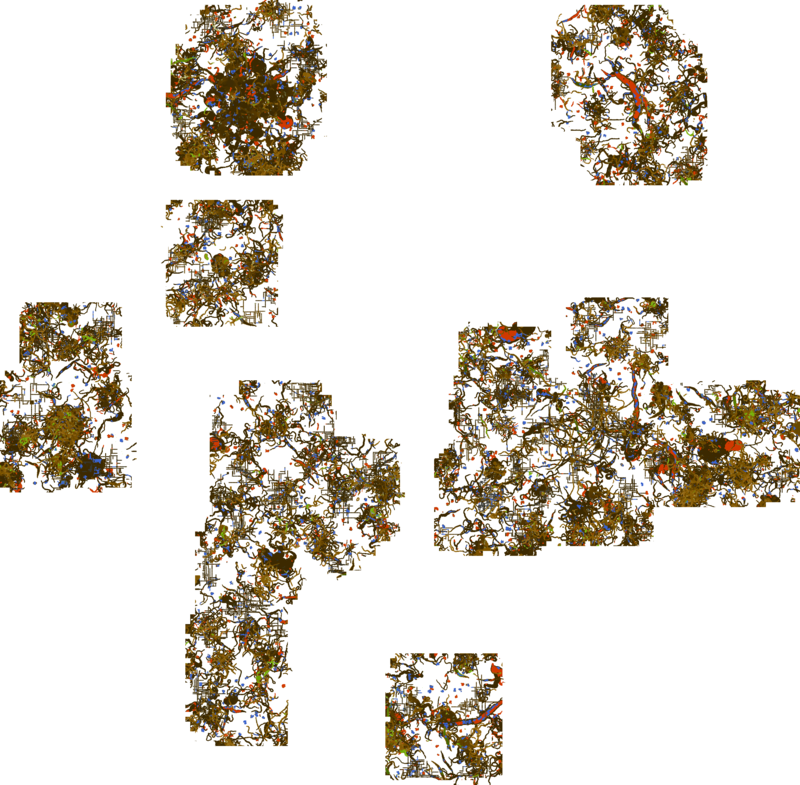 I myself prefer bigger cave systems that are more separated, but I also made it so there's a limit on how dense they can get; that requires more than a few bytecode edits though, as I did for my game, including modifying the actual algorithm that generates caves, as well as ravines. Going to do a review on this! That's for 1.6 and the old cave generation mod; 1.7.2 replaces the 40 and 15 with 15 and 7, while to get no caves I replaced the 40 with 1 (random always returns 0). For double density I either used 80 and 15 or 40 and 7. When you mentioned horses, I realized that I forgot to mention something important - removing caves also removes most dungeons (a source of horse armor, although saddles, name tags, and enchanted books can now be fished), since they require an air space underground in order to generate. Although you can still find horse armor in other chests (villages, temples, mineshafts, Nether fortresses) and having no durability lessens the need to get more, plus those other sources are easier to find without mining (the only thing unique to dungeon chests are music discs, and you can only find two kinds out of 12 total). 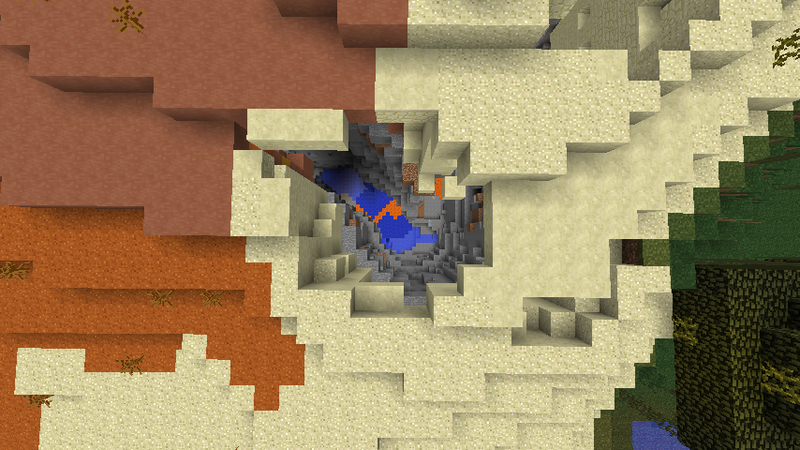 That said, if you just wanted to get rid of holes in the surface, I can make it so that caves don't cut through dirt and grass, only stone (they are generated before other features like ores; this is also why you never see cave openings in deserts). This would be difficult to do without MCP, however (I did this for my own personal cave mod, adding a special type of cave to make small, isolated surface entrances that are easy to fill in). Thanks for the offer. 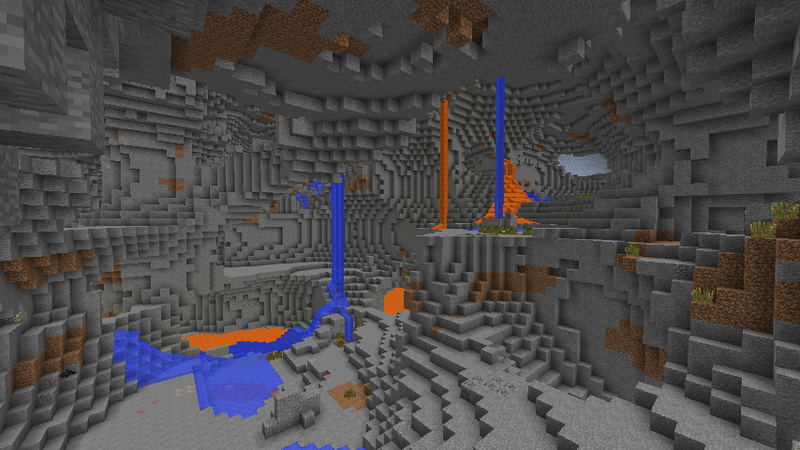 Right now I cover caves and ravines with glass for the rare occasions I want to go spelunking. What irritaes me is the game's ability to randomly generate a ravine or sinkhole under a major build, like a vast farmsite, village, or well traveled path between towns. Monster hunting? not my thing. 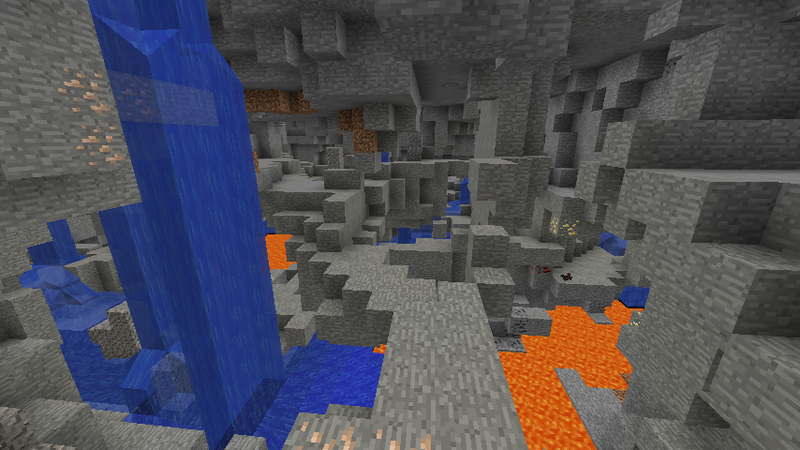 Dying from falling into an unexpectes sinkhole or diamond deep ravine? I don't mind it for myself, but losing my wolves and horses hurts my feelings. 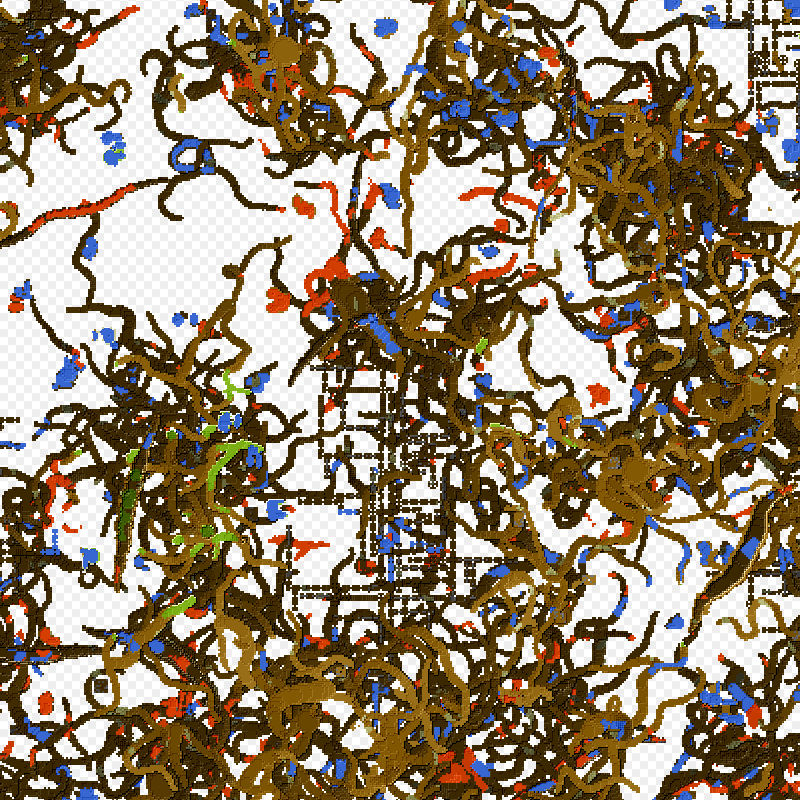 One quirk I do have is to build up the sides of a canyon and lead as many wild animals as I can find into it. They're free to wander and be wild, but they're handy. Of course there's a double door for a way out when I trade horses. For a really cool night scene, plant birch trees, conect them with glowstone at ground level, then cover the glowstone with glass. Pam's Mods make for striking ground cover with concealed glowstone beneath the trees, or at the edge of a cane lined pond. 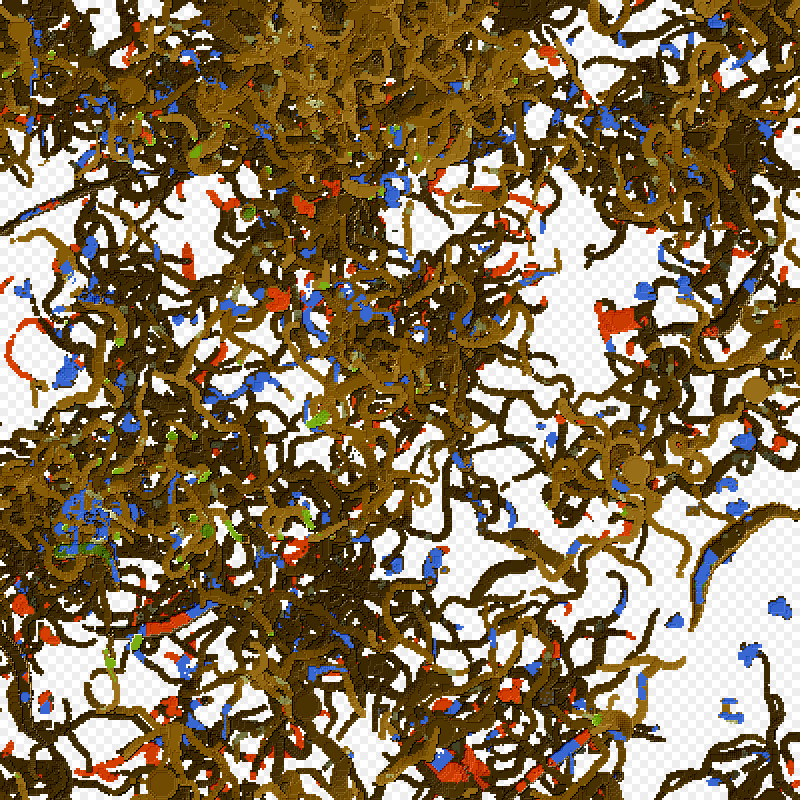 Yes, I spend a LOT of time in Creative Mode. Especially when expanding or renovating a town. Want some pictures? For some reason, JBE complains about "wide" if I save without any changes but when I make any changes it saves it without problems, but the code doesn't work; I discovered this after trying several edits and having the game simply freeze when I tried to make a world (no errors, just stops on "Building terrain" with no further output in the console after "total conversion count is 0"); other than that, I'm pretty sure I was editing the proper code since JAD uses the same obfuscated names and in the same form as unobfuscated source from 1.6.2. May I ask if you could do also a mod file for the server? Or is it the same file to replace there? I like the idea and I wish there would be a possibility to change this in vanilla. I'm pretty sure it would work on the server, as long as the obfuscated name is the same; I can download the 1.7.2 server jar and check to see if it is. 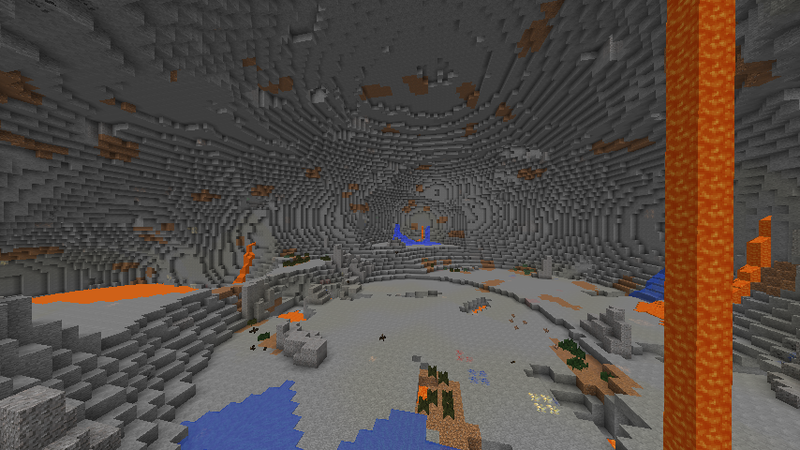 You can also run a test; just add the file and run the server and if it doesn't crash use Unmined to look at the generated world (by default it generates a 400x400 area around spawn), I provided the seed I used; otherwise, the cave generation code is only called during chunk generation, which occurs on the server side in singleplayer. If the file is different, I can easily find it; I just used JAD to decompile all of the class files in the jar, then used Windows grep to search for a specific string that was in the 1.6 source; specifically, 3.14579 and looked for code that looked like the 1.6 code (this assumes that there weren't major changes though; other classes were changed a lot, but in many cases they just changed a few lines/numbers); it only took about 10 minutes to find, modify and test when I did this to each snapshot I tested (so as not to mess up the world I started). 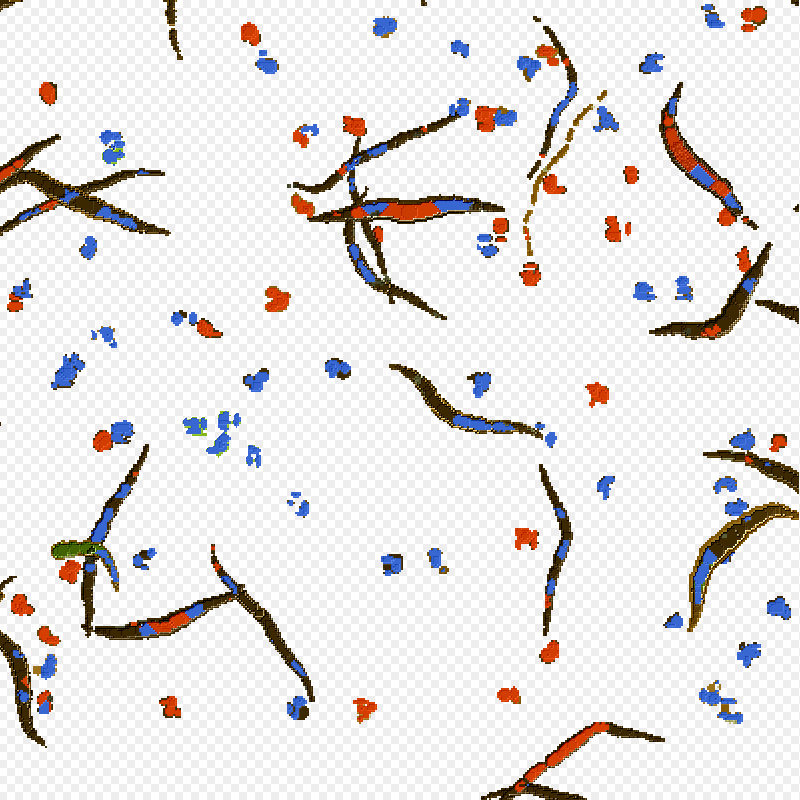 As for the ability to configure cave generation, as well as other aspects of terrain generation, I've also wondered why they haven't added any options like that; superflat is the only way to get a customized world but it has many limitations; large biomes and amplified are only a couple variations that can't be adjusted. 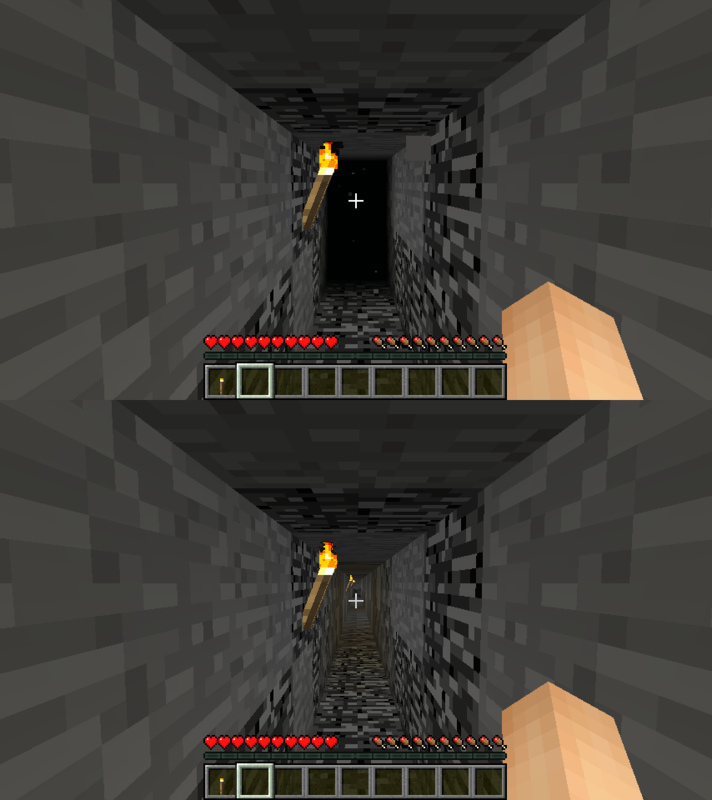 I know that from looking at the code a lot of things are hard-coded in and they just have to replace the hard-coded numbers with variables which are set with the chosen generator options (this is already done for many structures; for example, abandoned mineshafts default to a 0.01 chance of generating per chunk but this can be changed in superflat). They wouldn't have to change the save format either; level.dat already has a tag for generator options, currently unused except for superflat. There are even mods that enable you to change terrain generation, like this one, so I know it is possible to even change biome generation (based on a similar suggestion as above). 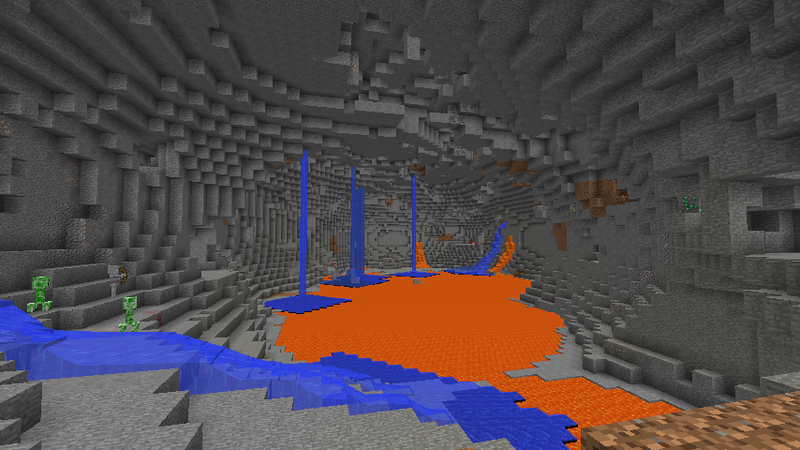 I just tested a cave mod with the Minecraft server and it worked, generating the same map as in singleplayer; I'll update the first post to include this information. 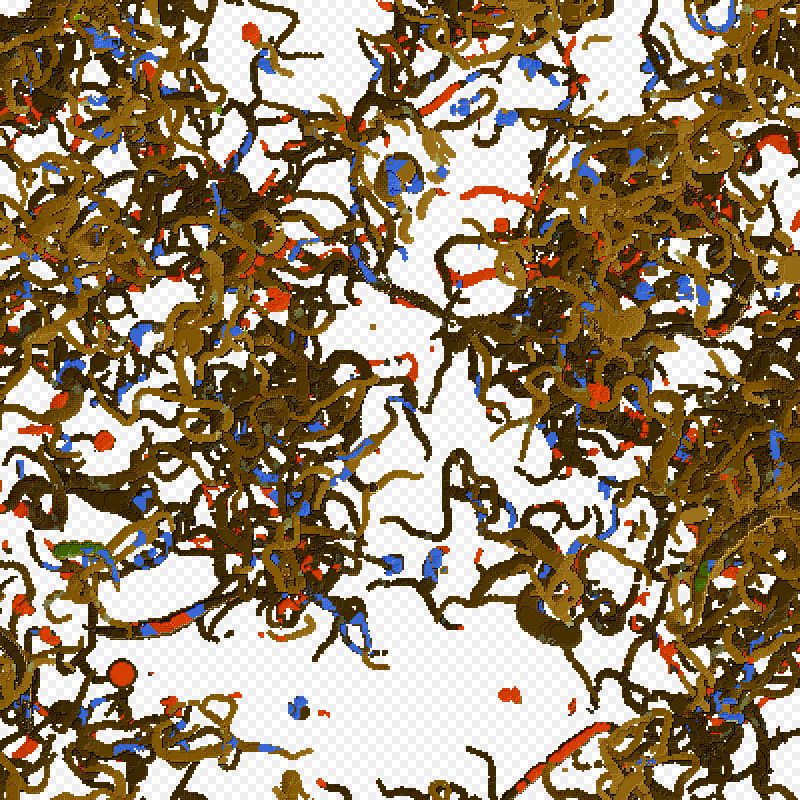 Did you remember to delete the META-INF folder in the jar? That is the usual reason for a black screen after installing a mod into the jar. Also, which mod did you install? In addition, I'm not sure if the steps are exactly the same for a Mac, besides finding the minecraft folder (I assumed they were since Java is cross-platform). Note also that these mods only work on 1.7.2 and no other version including snapshots (they change the obfuscated class names with every version, which is why mods need to be updated all the time, so you end up either replacing an entirely different class, crashing the game, or adding a new file which is never used by the game). I deleted the META-INF folder and I'm using 1.7.2 I followed the same steps. I don't get a black screen though. When you press play, and that blue loading bar loads. It loads completely, then goes away. I pressed play a hundred time and it wont launch. When I read your first post I assumed you meant that the game loaded and then the screen went black; it sounds like the game doesn't even run long enough to display a window, if it even runs at all. That said, did you look at the development console in the launcher to see if there are any errors reported? If so, you can copy what it says and paste it into the reply box, between spoiler tags; [ spoiler ] [ /spoiler ], without spaces between the [ ] and spoiler (click on preview and you should see a spoiler button). Also, I found a thread for installing mods on a Mac; it appears that you don't want to delete the entire META-INF folder, only the two files with Mojang in their name (not the manifest file). 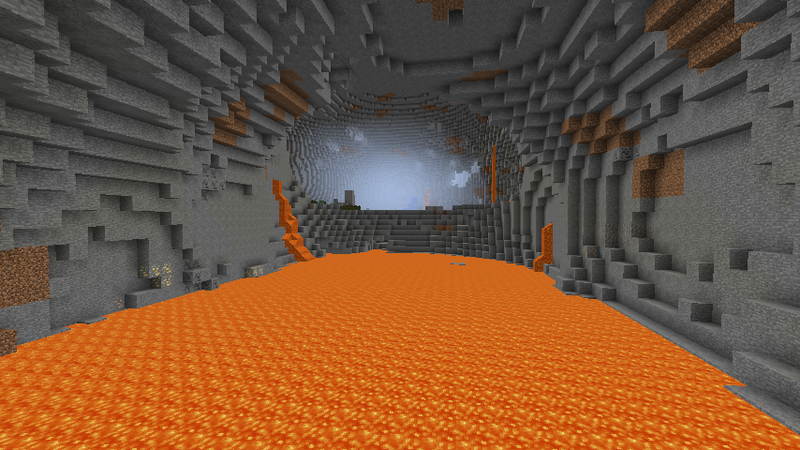 Thanks for making this mod,now I can enjoy the 1.7 terrain with swiss cheese cave.